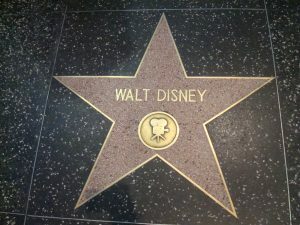 If you grew up in the western world, chances are your childhood was shaped and moulded by the visions of Walt Disney. You probably begged your parents to go to Disneyland at one point in time, or you might be able to sing along with every word in A Whole New World from Aladdin. Maybe you have a set of Mickey Mouse ears, or you sat cross legged on your living room floor Saturday morning to catch up with what Donald Duck was up to. When you finally had kids of your own, you lamented the eightieth time you were forced to watch Toy Story 2, and you can’t count how many times you danced, with little feet on top of yours, around your house to Be Our Guest. Our entire world is drenched in the works that Walt Disney set in motion. He redefined, single-handedly, what it meant to be a kid in North America, and it hasn’t changed since. No one doubts the successes this man had. By the time he died in December 1966, he was worth well over $20 million, adjusted for inflation, would be close to $150 million. In 2016, the Walt Disney company is worth $75 billion. That’s a lot of money. What if I told you though, that at one point in time, Mr. Walt Disney himself was forced to declare bankruptcy? You wouldn’t believe me, would you? Well, you’d be wrong. During the roaring twenties, Disney began his first animation studio, Laugh-O-Grams. While it did see some success, the business ultimately failed, and went bankrupt in 1923. Luckily for us, and all those little Elsas out there, belting out Let It Go, Walt Disney wasn’t the sort of man to give up very easily. He pressed ahead, moved to Hollywood and pursued his passion for animation. He saw promise in the new cel type of animation, and brought new characters to life. It was just five short years after he’d had to declare bankruptcy with his previous company, that Mickey Mouse was born and the rest is history.